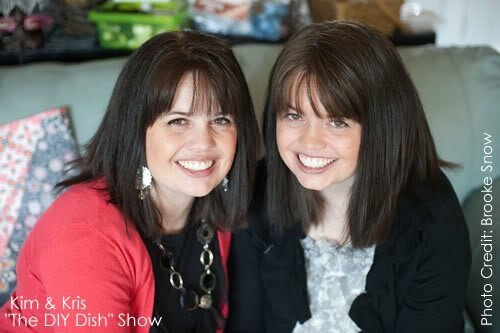 Kim and Kris are twin sisters who love to quilt and craft together. Born and raised in Southern California, they ventured out to school in Rexburg, Idaho and then out to Northern Utah to become elementary school teachers! They took their love for teaching to the sewing and quilting industry, and the rest is history! They've been active designers and educators in the DIY industry for many years, including as co-hosts of The DIY Dish and creators of YouCanMakeThis.com. They've appeared as guests on The Nate Berkus Show and The Rachael Ray Show and contributed to magazines such as Quilts & More, Where Women Create, Quilt Sampler and Designs in Machine Embroidery. Kim is the owner and designer of Kimberbell Designs —a sewing, quilt, and embroidery design pattern company. Kris is the owner of My Girlfriend's Quilt Shoppe and My Girlfriend's Sewing Machine & Education Center, large quilting and sewing retail centers in Utah.